Ticket(s) to Dead Factory and Fear Fest Haunted Houses and chartered bus seat. More than 5 attending? Select group ticket price below! 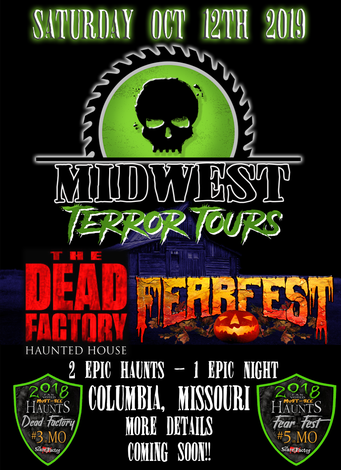 VIP Haunted House tour of The Dead Factory & Fear Fest Haunted House via chartered bus all in one night!!! Each ticket you buy gets you into both haunts and a ride on the bus! !